Fostering Personal and Social Responsibility through Experiential Learning. That’s the title of Barry University’s Quality Enhancement Plan (QEP). 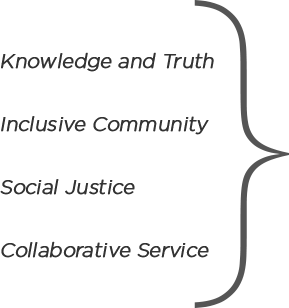 The QEP supports the University’s mission, including its four core commitments – knowledge and truth, inclusive community, social justice, and collaborative service. 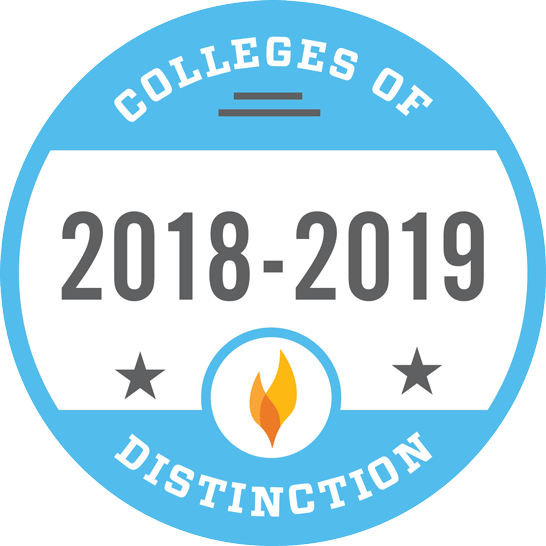 A core requirement of the accreditation process administered by the Southern Association of Colleges and Schools Commission on Colleges (SACSCOC), the QEP is based on a comprehensive and thorough analysis of the effectiveness of the learning environment for supporting student learning and accomplishing the institution mission. The learning outcomes of Barry’s QEP are placed in three domains related to personal and social responsibility: (1) Ethical and moral reasoning, (2) engaging diverse perspectives, and (3) community engagement and collaboration. Students who demonstrate personal and social responsibility use their talents wisely, take responsibility for the integrity and quality of their work, and engage in meaningful practices that prepare them for active citizenship in local and global communities. QEP implementation oversight is provided by the Office of the Provost. The administration of the Plan is based in the Center for Community Service Initiatives (CCSI). Students take responsibility for their own learning and development, acting ethically to achieve their goals and aspirations. Students examine the views and values that influence their own decision-making processes. Students gather, analyze, and thoughtfully use evidence and multiple perspectives to support their own ideas. Students recognize the extent to which cultural standards, institutional practices, and values oppress, marginalize, alienate, or create/enhance privilege and power. 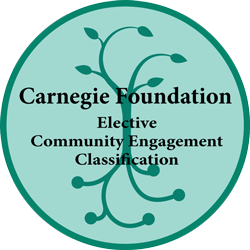 Students apply and explore the impact of the concepts, theories, and skills learned in class on issues affecting local and global communities. Students take informed and responsible action, working collaboratively with others through a social justice framework, to address issues faced by the community.